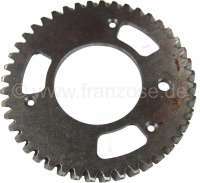 Camshaft gear for Citroen AMI8 + 2CV6. 44 teeth. Original one. 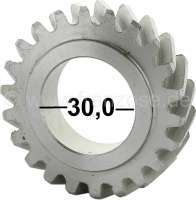 Crankshaft gear wheel narrowly, for Citroen AMI8 + 2CV6. 22 teeth. Gear-wide: 13,6mm. Wide one completely: 15,6mm.